The hooks are ready if you want to use your own file manager (for example you can use a prerelease of CKFinder). A file manager like the one available previously will be available later. For the moment you can't edit a full page (from <html> to </html>). Obviously the Document Properties doesn't work also. For the moment each editor has its own toolbar attached to it. Hoping for official Server side integration support (asp.net) soon..
marci wrote: Hoping for official Server side integration support (asp.net) soon..
No one has ever said nothing about dropping that, it just has been delayed a little. IE: editor is activated only by clicking in the first line. A character counter with maxlength, please ! No, that's just a preference. You have already asked for it too many times, and you have been given the code to implement it. If you don't know how to apply the code you should seriously consider hiring a developer. And this thread isn't meant to talk about your requests, only about things that used to work in FCKeditor but that for the moment aren't ready in CKEditor and so it can mean a problem for someone planning the upgrade. alfonsoml wrote: No, that's just a preference. All our sites are free and without ads, so do you think that we have money to hire a developer ?! Now I have a character counter that works... Is it so stupid to suppose that other people would be interested by a plugin ? alfonsoml wrote: And this thread isn't meant to talk about your requests, only about things that used to work in FCKeditor but that for the moment aren't ready in CKEditor and so it can mean a problem for someone planning the upgrade. Sorry to have bothered you so much with my stupid questions and requests. Here is an important missing feature when using ckeditor in complex CMS. Of course, this list might not be complete, I've tried to list the ones that I've found and as you can see they might be quite important in the upgrade process. Another missing feature is being able to integrate the other SpellCheckers (other than SpellChecker.Net). hi , another missing feature is directionality function. there is an option in the Office for writting easily in RTL languages like Persian Language. i already used tinymce and it had such a feature. and the code is ready in tiny, but i dont know how to add that to this editor. sorry for comparing these 2 editors ... but any way this is a lack in this editor. LAZer wrote: hi , another missing feature is directionality function. And about this feature I wrote some basic plugin to provide this feature and then asked that anyone that needed it would test and verify if it worked or not. I pointed several times to them: but you know what? nobody replied at all. Nobody cared enough to step in and develop it as needed so I no longer care about those RTL users. hi , i`m new here , i have searched but i found nothing specific about activating this so i thought i should ask for. but i dont know how to activate it , i cannot find the config file from which i can activate a new plugin. but the buttons didnt come from there . i have deleted all the source and core directories for testing where it comes from but still it brings the buttons like before ! I'm new here + RTL native. Could you post again your plugin. If it doesn't work for you don't be surprised. You'll need to use the version of FCKeditor available at that time. Personally, I never used RTL for anything; it would be a nice feature to have, but I can feel your frustration for not finding testers; I can't help but with an encouragement; but it sure looks like moving it from -don't care- to -wishlist- might make some people happy around here. 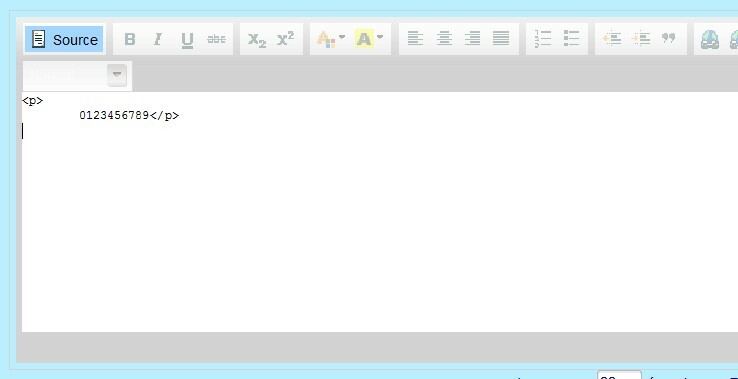 also missing is the feature to set the overall editor height to 100% of e.g. a div containing the editor with other HTML around it. Resizing the browser window always kept the editor height intact, which is not possible in the 3.0 release. Another point is the migration of (very complex) plugins from 2.6.x to 3. Using the dialog JS model is not an option, so the only way to do this is using the iframedialog plugin, which is rather basic. E.g. getting the events for OK/cancel buttons, triggering the buttons visibility and pasting things back to the editor is clumsy/not possible currently. I don't know if this thread is still alive, but will also post a ticket. I would like to make another pitch to include 2.x spell check functionality in 3.x. While I see there is a plugin for this, it requires PHP or CFM, neither of which we use on our server. Does anybody have any suggestions for how to do this, especially in view of the privacy issues raised. The previous spellchecker needs some backend at your server and as you said other people have posted such a plugin for v3. So if it's missing some server language you should find out how the other languages have been ported and do it for your server.